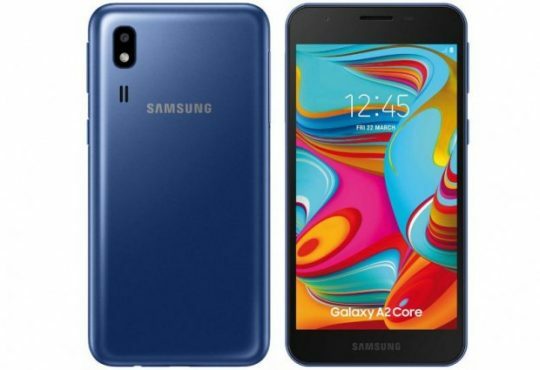 Samsung has today announced its new tablet ‘Galaxy Tab A 8.0 (2017)’ in India, which will be available in Black and Bold color options for the price of 17,999 INR. It will be rolling out through Samsung India online shop and other major retail stores across the country. The Book cover for this tablet will also be available at 2,499 INR. The company will also offer one time screen replacement just for 990 INR within a year, but only then if you buy Galaxy Tab A 8.0 (2017) within a month of launch. This tablet is made with metal and also comes with Samsung home button and other menu buttons, right below the display. Galaxy Tab A 8.0 (2017) is fitted with a 8 inch WXGA TFT display and is powered by quad core Qualcomm Snapdragon 425 mobile platform along with Adreno 308 GPU. There is 2GB of RAM and 16GB of flash memory that can be further expanded by up to another 256GB through microSD card slot. Galaxy Tab A 8.0 (2017) sports an 8 MP auto focus rear shooter with Led flash light and f/1.9 aperture. Its front facing camera comes with 5 MP resolution and houses a 5000mAh big battery which is rated to deliver up to 14 hours of video playback. Galaxy Tab A 8.0 (2017) comes with 4G LTE connectivity with voice calling capabilities and runs on Android 7.1 Nougat operating system. Other connectivity options include 3G / HSPA+, EDGE / GPRS, Wi- Fi a/b/g/n (2.4 + 5 GHz) HT40, Bluetooth 4.2, GPS + GLONASS, Micro USB 2.0 port and 3.5mm audio jack.